After 60 successful launches of rockets and satellites, SpaceX will be announcing the first passenger who will fly by the moon. SpaceX CEO Elon Musk is expected to announce the name of the individual who will embark on a mission to fly around the moon, marking the 25th person to do so since 1972, USA Today reported Monday. Over the weekend, Musk tweeted photo renderings of the large rocket designed for the mission. 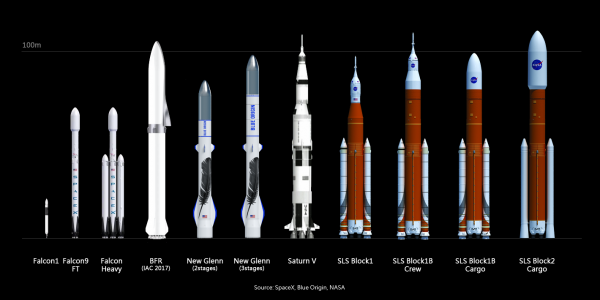 The rocket, called Big Falcon Rocket (BFR), joins SpaceX’s lineup of Falcon and Falcon Heavy rockets. The announcement will take place at 6 p.m. PDT/9 p.m. EST at SpaceX headquarters in Hawthorne, Calif., near Los Angeles. The rocket will be used in the company’s Mars mission within the next 10 years. At the SXSW conference earlier this year, Musk said SpaceX’s Mars spaceships would be ready for short flights by next year. Previously, Musk said he expects an unmanned cargo mission to Mars by 2022, and human missions by 2024, Business Insider reported. The BFR rocket is said to be a 157-foot spaceship atop a 191-foot rocket booster, with a combined height of more than 35 stories. It will weigh close to nine million pounds when fueled, with a payload capacity of 150 tons and 100 passengers. The BFR is also said to be the first ever 100 percent reusable launch vehicle. SpaceX has been working closely with NASA for their breakthrough developments bringing them closer to passenger space flights and Mars expeditions. In February, SpaceX launched its first Falcon Heavy rocket into space, which carried a full-size electric car to orbit. The rocket is said to be the most powerful in the world, comprised of a heavy-lift booster along with three Falcon 9 rockets with a combined 27 Merlin engines generating five million pounds of thrust. The Saturn V rocket launched five decades ago is the only rocket to carry a higher payload than the Falcon Heavy. It carried six crews and three electric cars to the moon. Musk’s ambitious plans continue driving SpaceX toward fast-paced innovation that even leave him surprised. “I’m very close to the cutting edge in AI, and it scares the hell out of me. It’s capable of vastly more than almost anyone knows, and the rate of improvement is exponential,” Musk said.